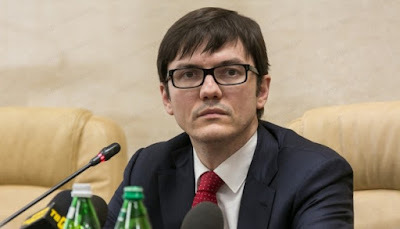 The Ministry of Infrastructure’s bloated portfolio of almost 300 state-owned enterprises, including a railroad, seaports and roads, funnel cash to corrupt businessmen with connections to Ukraine’s parliament, he says. For months, they have blocked his attempts to privatize them. “This is an existential issue for the deputies,” meaning members of parliament, Pyvovarsky said in an interview this month. Crony capitalism was a major reason protesters toppled the pro-Russian government of President Viktor Yanukovych in 2014. After two years of a pro-Western, pro-reform government, corruption is once again fueling political crisis in Kiev. At stake are billions of dollars, much of it siphoned from state-owned enterprises, and interests that allegedly extend to Ukraine’s leadership, including business circles close to both President Petro Poroshenko and Prime Minister Arseniy Yatsenyuk. The technocrats who entered the government to help implement Western-backed reforms are losing faith. Pyvovarsky was one of several reform-minded ministers to resign this month after the economy minister, Aivaras Abromavicius, said that a close friend and political ally of Poroshenko had tried to force him to hire a deputy to manage Naftogaz, the state-owned oil giant, and other potentially lucrative companies. Abromavicius, in an acerbic resignation letter, identified the ally as Ihor Kononenko. Journalists already had dubbed him the party’s “gray cardinal,” and Ukraine’s leadership appeared shaken by the scandal. Seeing a “window of opportunity,” Pyvovarsky returned to the government in a last-ditch effort to carry out his agenda, saying that he either would see parliament pass key reforms or he would quit for good. “I’m not holding onto this table. I don’t want to be minister,” Pyvovarsky said. Ukraine’s parliament is unraveling by the day, and the government is more concerned about survival than passing measures to bring about broad changes. On Feb. 16, Yatsenyuk’s government narrowly survived a vote of no confidence, saved by lawmakers in Poroshenko’s party and those loyal to several oligarchs who mysteriously disappeared from parliament during the vote. Later, two of four political parties left the ruling coalition, setting up the probable return of the populist Radical Party as a junior partner. Average Ukrainians are fed up. There have been some successes in the reform process, such as a new police force and decentralization, but the economy contracted 10.5 percent and inflation rose more than 40 percent in 2015. Western governments want Ukraine to push forward with reforms but have rejected radical change in order to unblock Ukraine’s parliament, warning that new elections will plunge the country deeper into political crisis. The West’s influence on the government in Kiev cannot be overstated. Ukraine needs Western financial support, including the remainder of a $17.5 billion International Monetary Fund bailout, to prop up its economy. On the other hand, dismissing the government without a replacement also would risk the IMF bailout and would be like “jumping out of a plane without a parachute,” said one Western diplomat, who spoke on the condition of anonymity to discuss the situation candidly. Poroshenko’s critics say he has played a double game: pandering to angry voters by publicly calling for Yatsenyuk to step down but privately scuttling the no-confidence vote to prevent new elections or the loss of Western aid. The diplomat, citing private channels of communication, said that he had “clear indications that Poroshenko was not going to allow” the government to fall. Poroshenko’s main concession on reform was firing Prosecutor General Viktor Shokin, another ally who has been accused of blocking reforms and prosecutions against corrupt businessmen. Perhaps the most troubled of Ukraine’s institutions, the prosecutor general’s office is trusted by less than 10 percent of the population. “The decision is correct but it’s late,” said Vitaly Kasko, a respected deputy prosecutor general who also resigned recently, citing personal interference by Shokin. He has said he was pressured and refused to accept instructions from Kononenko, the friend of the president. He said that despite Shokin’s dismissal, he had no plans to return to work there. Abromavicius, the minister of economy whose resignation triggered the crisis, said he welcomed the new scrutiny that the scandal has brought, including a code of ethics for public officials introduced by the cabinet. “It is not too late to say goodbye to friends in politics,” he said, adding that Poroshenko and Yatsenyuk had an opportunity to restore trust in the government.